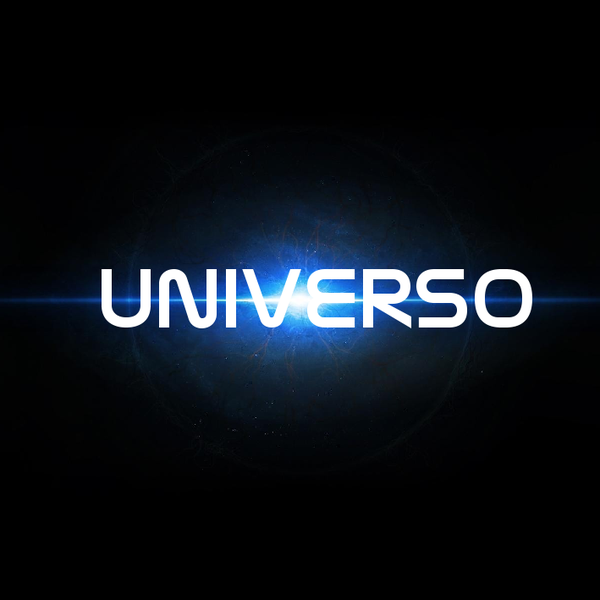 The true essence of art, Universo is poetic genius coupled with masterful music composition. A powerful combination of Rock and Pop, Universo doesn’t hold back in the least with their music. Putting all their emotion and passion on full display, Universo uses harmony, melody and catchy rhythms to grab you by the ears and introduce you to their specialized, signature blend of music. Some of their music, like “Com Voce”, is very much Rock. It is loud, it is hard and it is brilliant. “Com Voce”, one of my favorite songs, will get your heart pumping and your feet tapping. Some of their songs, like “Linda Aos Meus Olhos”, are soft and gentle – sort of a Pop/Folk combination that is as beautifully elegant as anything I’ve heard. The vocals for all of their music, be they from Jack (male) or Meika (female), are incredibly strong and vibrant. To call it “singing” seems like a bit of a disservice, as each and every note of each and every lyric is sung with so much intensity. This whole band is a collection of people who aren’t just good at what they do, they are amazing at what they do. Combining this much skill into one band can only lead to greatness, and Universo is well on their way to that status. Now unless you speak, what I believe to be Portuguese, you probably won’t be able to understand what the lyrics are. But for me, that doesn’t distract from the music at all. In fact, there are several bands that I am quite fond of despite the fact that I have no idea what they are saying (Superbus and InCulto come to mind). And even though I wasn’t able to understand what the songs were saying, I was still able to feel the music – the true sign of a great band. Every song seemed to flow perfectly along, captivating my ears and mind. The good folks of Universo were kind enough to provide me with an English translation for their song “Com Voce”. Keep in mind, while in English these words may not rhyme, I was assured in their native language they do. Give them a read to get a feel for the content of the song. “Com Voce” is a fantastic Rock song which I frequently found myself comparing to Evanescence. Perhaps it was just the female vocals, but one can certainly find some similarities. I highly recommend that you check out “5 Sinfonia de Beethoven”. It’s what Beethoven would sound like if he had access to electric guitars and drums, perhaps it would be called OrchestraRock? It is simply amazing. The guitar-work is impeccable and the drumming is breathtaking and vicious. Another song that I really liked was “Pulsares”. It is an instrumental song, so there are no lyrics, but man oh man does it ever Rock! Kind of a Metal/Rock mix, this song showcases a masterful control of guitars and drums. If you are a fan of blazing guitar solos, you are simply going to love this song. Guitar solos are rapidly becoming a lost art, but apparently nobody told Universo. Listening to this song, you can only tip your cap and applaud. Absolutely amazing. Be sure to check out all of their music below via ReverbNation. There is a lot there to listen to, so prepare to be blown away! Universo’s sound ranges from Pop to Rock to Pop/Rock with even hints of Metal. You simply can’t define them under one genre. Universo is a perfect example of how great music can be found all across this planet. Do yourselves a favor and give them a listen. Check out their links below and make sure to share them with your friends! Enjoy!